Ideal for branches 5/8" to 1" diameter. * 2 pairs of large self-locking Air Propagator (6" x 7-9/16" x 2-3/4"). * 2 sets of stopper. 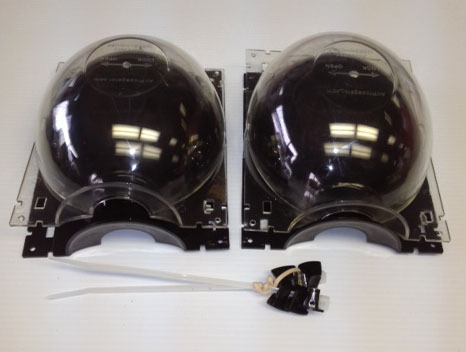 Each pair of Air Propagator consists of a black half-shell & a clear half-shell. Ideal for branches ¼" to 5/8" diameter. * 3 pairs of medium self-locking Air Propagator (4" x 4-9/16" x 1-5/8"). * 3 Sets of Stopper. Ideal for branches less than ¼" diameter. 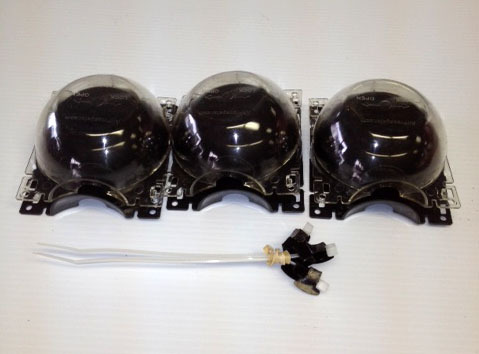 * 3 Pairs of small self-locking Air Propagator (2" x 2-3/4" x 1-1/8"). 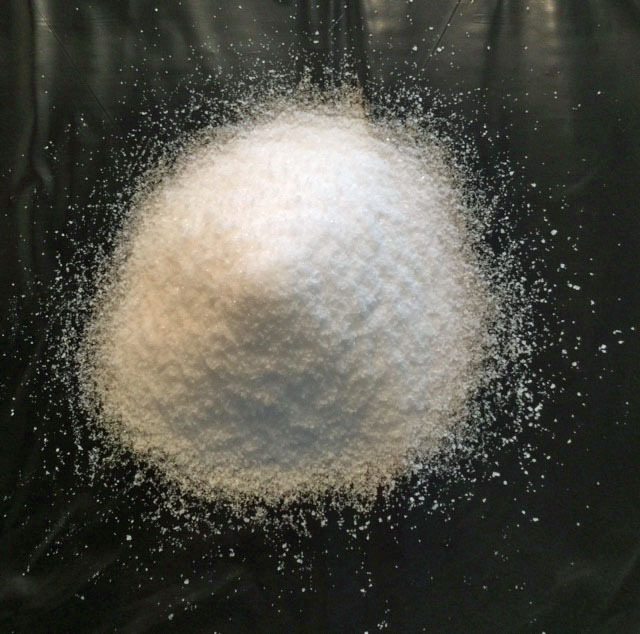 The Growing Medium is a compound of pete moss and coconut powder, dry hydro gel, and other secret ingredients compressed under 200 tons of pressure. 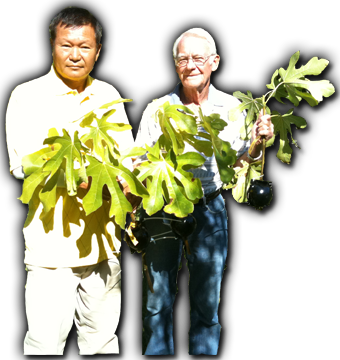 This growing medium is a crucial part of the success of our revolutionary new propagation system. 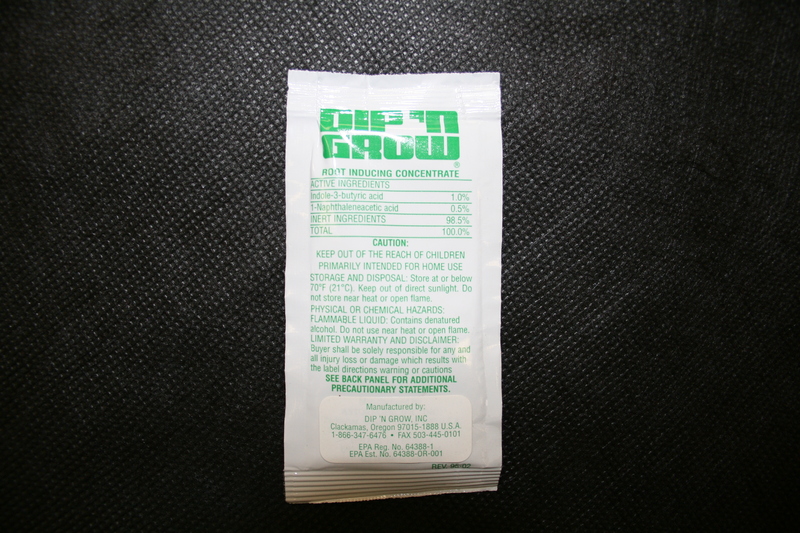 Dip and Grow is the most effective rooting hormone available. Propagators at nurseries and universities have increased their yields by using Dip and Grow. They’ve found Dip and Grow to be more economical and easier to use than rooting powders. 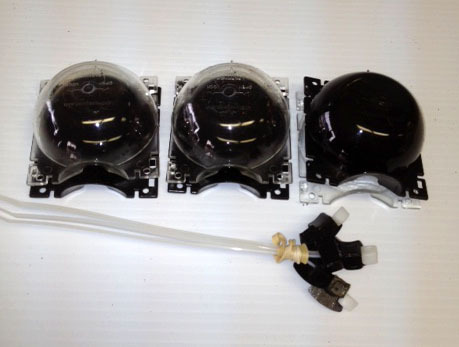 Three Complete Air Propagator Sets! Contains everything you need to propagate 3 plants simultaneously. 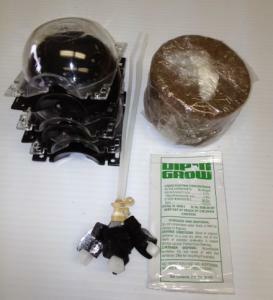 Three Complete Air Propagator Sets for Vines and Small Plants! 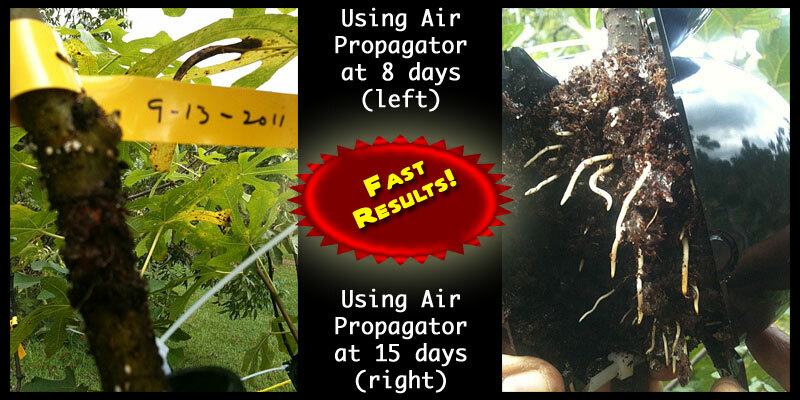 Contains everything you need to propagate 3 plants simultaneously. Two Complete Air Propagator Sets for larger plants and trees! 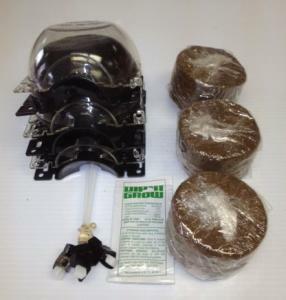 Contains everything you need to propagate 2 plants simultaneously. 1 pound of Moisture Holding Powder/Granule. Mix ½ lb. of Moisture Holding Powder into 5 lbs. 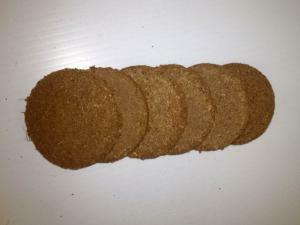 of peat moss. 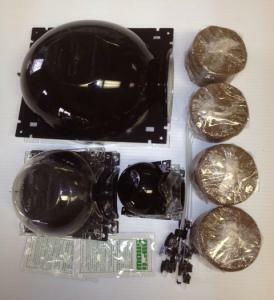 3 sizes of Air Propagator Kits! 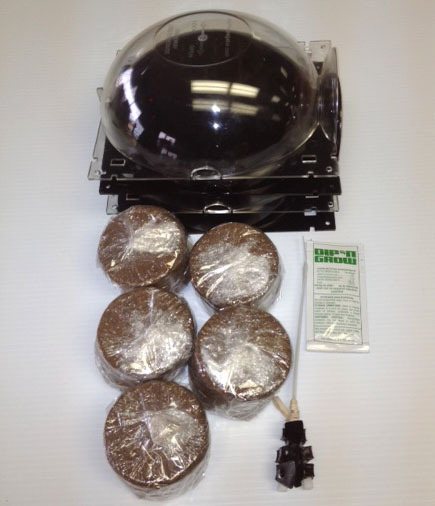 Contains everything you need to propagate different sizes of plant simultaneously. Each pair of Air Propagator consists of a black half-shell & a clear half shell.